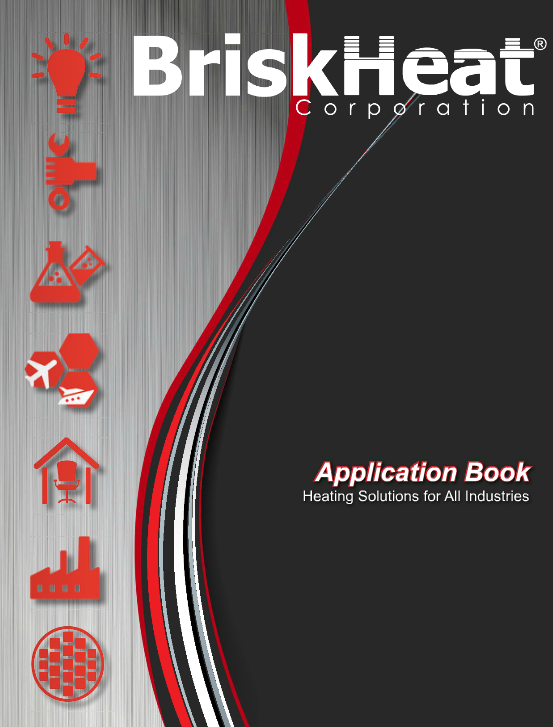 With thousands of solutions to choose from, BriskHeat’s Application Book is the complete go-to thermal solutions guide for maintenance, engineering, production, and procurement professionals around the world. Since 1949, BriskHeat has been providing the widest range of flexible heating solutions including: heating cable, flexible heating tapes, cloth heating jackets, silicone rubber heaters, etched foil heaters, drum heaters, tote tank / IBC heaters, temperature controllers, composite curing solutions, insulators, and more.the complete go-to thermal solutions guide for maintenance, engineering, production, and procurement professionals around the world. View our digital interactive Application Book by selecting the language of book you would like to view below. Contact our team of application specialists or your local distributor today for application assistance.